Since the public cloud is shared by several users, it’s less secure than a private cloud that’s restricted to your enterprise. When you select a public cloud, you essentially relinquish control over the hardware that runs your applications and the server where your data is stored. You must rely on the service provider to ensure your data is safe, and there’s always an element of risk. Public clouds are more susceptible to a data breach than private clouds. From a hacker’s perspective, it’s more compelling to target a public cloud where there’s all kinds of private data than a private cloud where the payoff is limited to a single organization’s data. 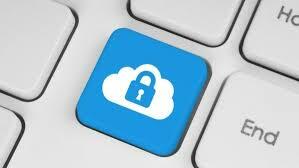 With a private cloud, you’re less likely to be the victim of a hack. You’ll also enjoy more oversight over your data, for instance knowing exactly where the servers are located, who has access to them, and how the facility is protected. Certain industries–notably banking and health care–have compliance requirements they must meet. Depending on the industry you work in and the compliance requirements that exist, a public cloud may not be adequate for your needs. For instance, health care organizations tend toward private clouds, which meet requirements for data storage location. Additionally, a private cloud provider may be able to work with you to meet certain requirements, whereas a public cloud service provider has little incentive to be so accommodating. It’s critical to understand both the up-front and subscription costs of any cloud model before you opt in. Public clouds usually have scalable, pay-per-use subscription models. If your organization has a peak season and a slow season, this may appeal. For small businesses, public clouds are often the only affordable way to buy into the cloud. In some cases, though, you can wind up with a large bill if you haven’t predicted your needs and your public cloud usage skyrockets. If your usage varies widely from month to month, such that predicting what you’ll need at any given time is impossible, you may prefer a private cloud, where costs are set. Private cloud models usually come with a contract that specifies a particular level of service usage. The contract makes private cloud costs more predictable (though not necessarily more affordable) than public cloud costs. If you have large data needs, then a private cloud may actually offer you a more competitive price than a public crowd. 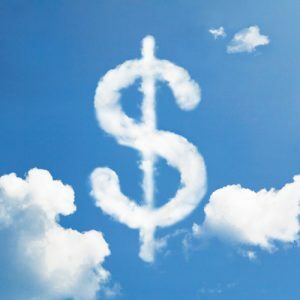 No matter which type of cloud you use, you’ll often see a cost savings over your current IT costs through consolidating resources and leveraging economies of scale. Both public and private clouds scale as your organization’s needs change. In practical terms, this means that the cloud vendor will always handle your hardware, whether you select a public or private cloud. The same goes for agility. Since your IT staff will not be working with the infrastructure of a public or a private cloud, and the vendor can provision resources incredibly fast, you won’t face lag time when getting started with a new application. Hybrid clouds combine public and private aspects into one single cloud entity. The hybrid model allows your organization to skirt some of the negatives associated with either the public or the private model. In a hybrid cloud model, you may allocate sensitive data to a private cloud, while using applications in a cheaper public cloud that do not require sensitive data. Now that you know the basic advantages of public, private, and hybrid cloud models, how do you select the right model for your business needs? Think about what your core needs are, or what is most important to you. This may be clear-cut, for instance if you have compliance issues that dictate a private cloud or if you don’t have the finances to commit to a vendor contract and lock in a set usage amount. If it’s not a clear choice, use this chart to compare the private vs. public cloud model and select the cloud model that comes closest to meeting your needs. Understand that your needs may change over time, and fortunately the cloud is scalable and flexible to change with you. Alternately, you may wish to use both a public and private cloud or embrace the hybrid cloud model, two techniques that many organizations are currently using to get their needs met. Ultimately, the variety in cloud models makes it easy for you to customize the cloud environment that most meets your needs and move forward with confidence that you’ve done the right thing. Evaluate your needs and any regulations to which you must adhere, then move forward exploring cloud vendor pricing, platforms, and options to find the best fit. 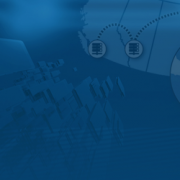 Looking for more information on how Server Cloud Canada can help your business with a secure private cloud infrastructure? IT Resilience In The Cloud CC DR Are You Ready for the Next Cyber Attack?